Tents, campings, celebrations & our usual lots of music & singing wonderful youths with us all going “celtic”! 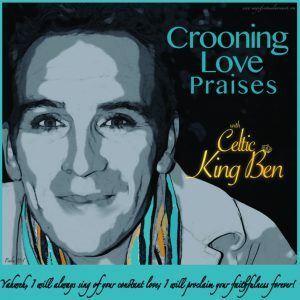 to MAGNIFY AlmightyGod together .See pics below along with our Celtic Great Day duo of adoring praises release of more crooning of LOVE MOVES 4 God. Must have been well blessed 4 prowling brothers lurked again even putting up public frothing signs to prove their master is not happy with our happy praising selves. We will keep adoring praises crooning along. Re tithes 4 this time of year: U may like to lift it up more by using some tithes to buy extra praise music from our CDs of heavenly praises to give out to the needy ones 4 a sweet way to evangelise too to others & even some family odd-bods. 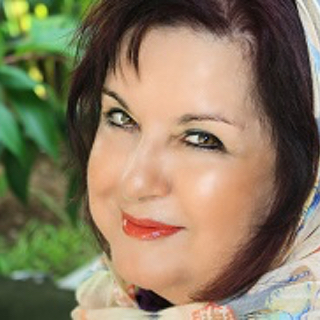 Keep up your unique evangelising with the website fun too. 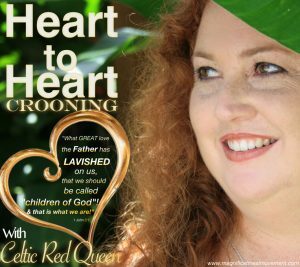 Double the Praise in your home with Celtic King Ben & Celtic Red Queen. 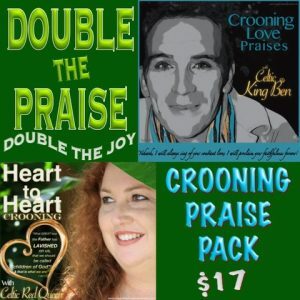 Click here or on the picture below to purchase the Crooning Praise Double Pack for $17.